Leo P. Frohe was born August 26, 1851 in Sittard, Holland. At the age of 11 he immigrated to the United States with his mother and sisters. Leo's father Gottfried arrived the year before and made arrangements for the family to live in Buffalo upon their arrival. 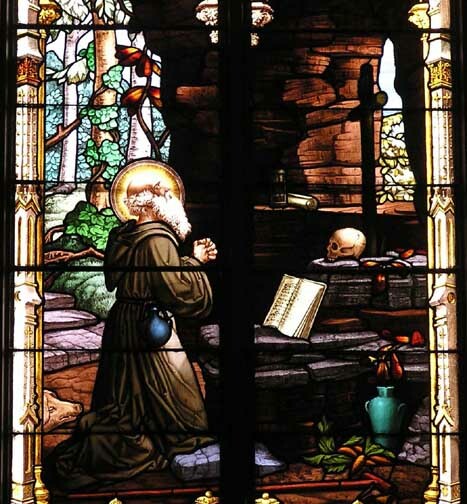 Leo studied art in both Holland and the United States and quickly became one of the foremost stained glass designers and painters. After working with the Buffalo Stained Glass Works as a manager, he moved on and created his own business; The Frohe Art Glass. 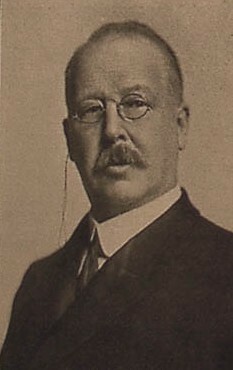 Upon the death of Leo in 1919, his son Ferdinand took over the business until his death in 1959 to which Leo's grandson Paul Frohe took control of the business. 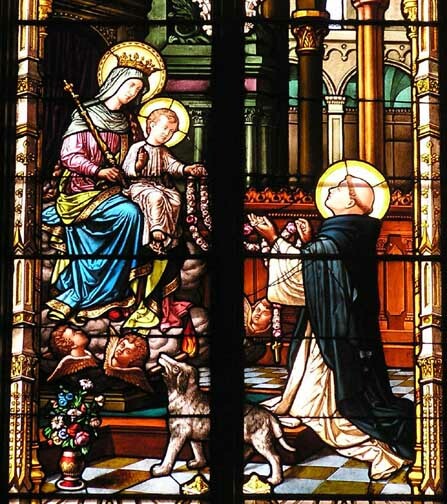 The windows in St. Mary's Assumption Church are examples of late Ferdinand Frohe and early Paul Frohe works. The point of this particular image is to show the location of the stained glass windows in respect to the general layout of the church. The Joyful Mysteries are depicted in the windows along the south wall, starting in the far east end. The progression moves westward along the south wall, then changing to the north wall and continuing eastward. The Evangelist windows are located within the apse, flanking the back altar, which is located on the east end of the church. The images of Christ the Child are depicted in two windows located on the west end, within the vestibule. The lone window of The Virgin and Christ Enthroned is the very last window on the north wall to the west, immediately following the windows depicting The Glorious Mysteries. It is strange to not have the north side of the church facing up but the "progression" of stained glass windows leads the person to view the windows on the south first. The following pages will show the pictoral image of each window, giving a description of the scene and any symbolism through icons, numbers, colors, people, animals or plant life. The stained glass window, as a whole, will be covered later as it also contains some symbolism through numbers and colors but contain no depictions and will not be covered here. The memorial "plaques" located in the bottom portion of the window will also be covered in a different section.